This is an interesting photograph in many ways. 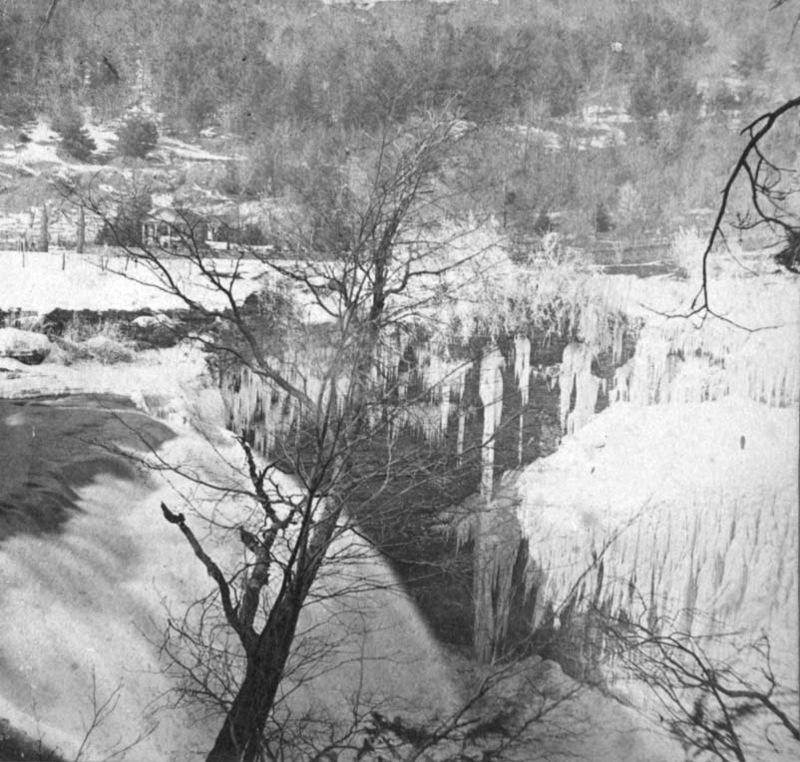 First, unlike many contemporary (and modern) views of the Middle Falls, it was taken from the east rather than the west bank of the Genesee River, giving us an unusual view of what is now the overlook area. Secondly, it is taken in the depths of winter. Whoever the photographer was, he was hearty fellow who enjoyed challenges! A generation earlier the far river bank was covered with mills. (See Image 1). By the time this imagte was tak the remnants of those businesses were gone, replaced by a small building and a rustic gate visible in the left center of this photograph. ( See Image 26 for another view of those structures.) There appears to be another structure in the upper right part of the photograph, among the pines. Could it be the Swiss cottage that once stood on the Council Grounds? We believe this image was copied from a stereo views. If anyone has the original view, we would appreciated the name of the photographer and any other additional information on this interesting image! Other winter views can be seen here.